Celebrate with co-workers and family members, and don’t forget to wear orange and green. Pregame festivities, giveaways, and on-field activities ranging from check presentations to ceremonial first pitches are just some of the highlights in store for University of Miami employees, their family members, and friends at UM Family Weekend with the Miami Marlins. Taking place on Saturday, April 27, and Sunday, April 28 at 37,000-seat Marlins Park in Little Havana, UM Family Weekend with the Miami Marlins is the University’s way of showing its appreciation for the dedication and outstanding work of its employees. The Marlins will take on the National League Central Division Chicago Cubs at 7:10 p.m. on April 27 and 1:10 p.m. on April 28. You can only attend the game for which you purchased tickets. Please remember to bring your tickets, food vouchers, and University of Miami ID (’Cane Card). And just as important, wear your Hurricane orange and green. UM employees will have the opportunity to purchase additional tickets on the day of each game at the Marlins Park Box Office, located at the West Plaza. Additional tickets are $9, with seats as good as home plate box, based on availability. You must show your UM ID (’Cane Card) or your existing UM tickets/food vouchers to purchase additional tickets at the $9 special rate. Each game will feature pregame activities for the entire family. Family activities and entertainment will be located on the West Plaza from 5 to 7 p.m. on Saturday and from 11 a.m. to 1 p.m. on Sunday. Activities will include autograph sessions with Marlins ballplayers, appearances by Billy the Marlin and Sebastian the Ibis, and the ’Cane Zone—a special area for UM employees and family members featuring face painting, inflatables, balloonatics decorations, and a Marlins retail/merchandise booth. Employees must present their UM ID (’Cane Card) or game tickets/food vouchers to gain access to the ’Cane Zone. Pregame on-field ceremonies will highlight the University of Miami at both games, including UM employees throwing out ceremonial first pitches. On Saturday M. Brian Blake, vice provost for academic affairs and dean of the Graduate School; John Hargrove, senior software engineer at the Rosenstiel School of Marine and Atmospheric Science; and Luis Hernandez, core desk coordinator for surgery at University of Miami Hospital, will throw out first pitches. On Sunday Pat Whitely, vice president for student affairs; Saviour Delavoe, senior clinical systems analyst at the Miller School of Medicine; and Michael Hampton, network architect for Information Technology at the Miller School, will throw out first pitches. The Saturday, April 27 game has been designated the “Saturday Spectacular” and will include a free postgame concert on the West Plaza by the hip hop group Sugarhill Gang. The Sunday, April 28 game is “Family Sunday.” The first 5,000 children 12 years of age and younger will receive a free Marlins Park/Orange Bowl Tribute T-Shirt, and the University of Miami Band will perform at West Plaza. During both games, Marlins personnel will conduct UM Family Weekend seat upgrades for employees, and videos and ribbon boards will feature the University of Miami. 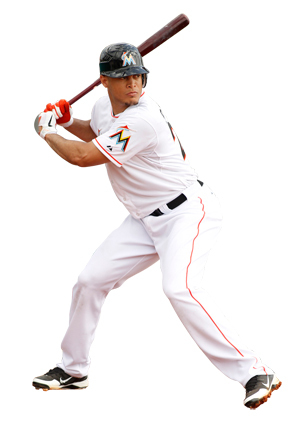 The Miami Marlins Community Foundation will make two on-field check presentations benefiting UM. On Saturday the foundation will present a $7,500 check to the School of Education and Human Development’s Department of Kinesiology and Sport Sciences. On Sunday the foundation will present a $5,000 check to the School of Communication for the Suzanne Rayson Scholarship Fund for students who are enrolled in the Broadcast Journalism Program and have shown an interest in sports broadcasting. Rayson, who served as the Marlins director of broadcasting from 2002 to 2008, died after a battle with cancer. For parking information and to pre-purchase parking in advance, please visit marlins.com/parking, which provides detailed information on public transportation to Marlins Park, on-site and off-site parking, and alternative ways to get to the ballpark. For additional information, download the Guest Information Sheet.